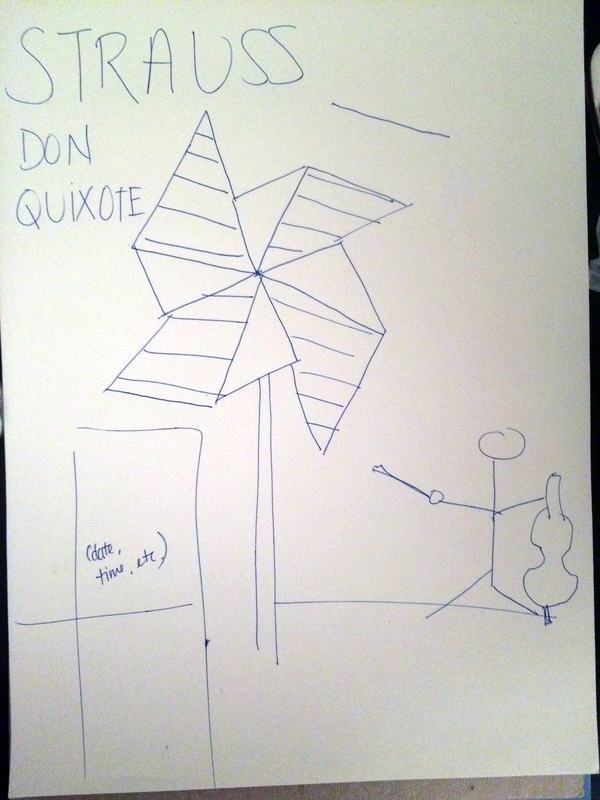 The most memorable scene from Cervantes’ Don Quixote has the titular character and his sidekick charging against a horde of giants – imaginary giants that were actually stationery windmills. 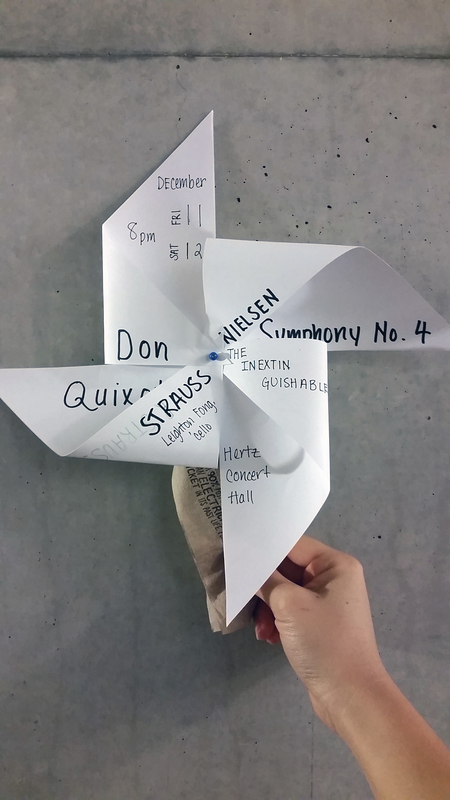 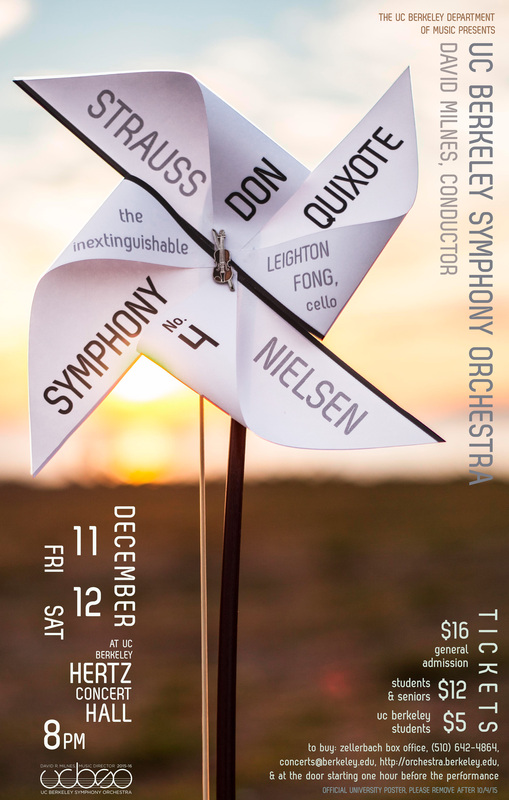 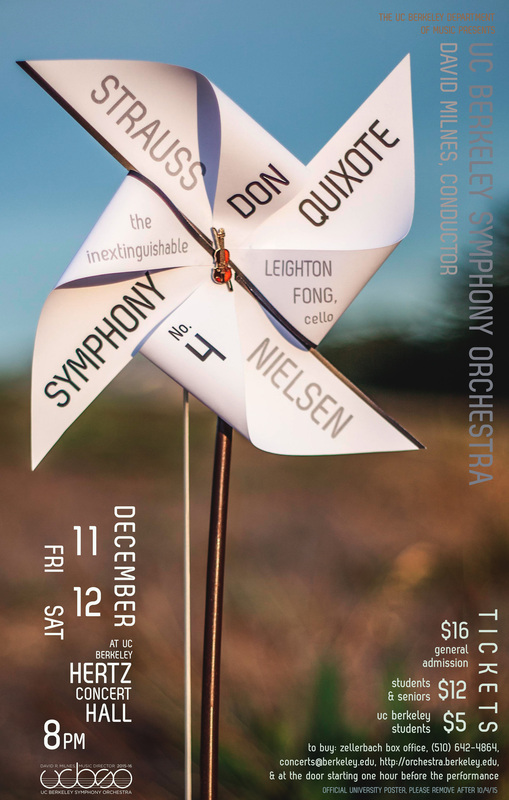 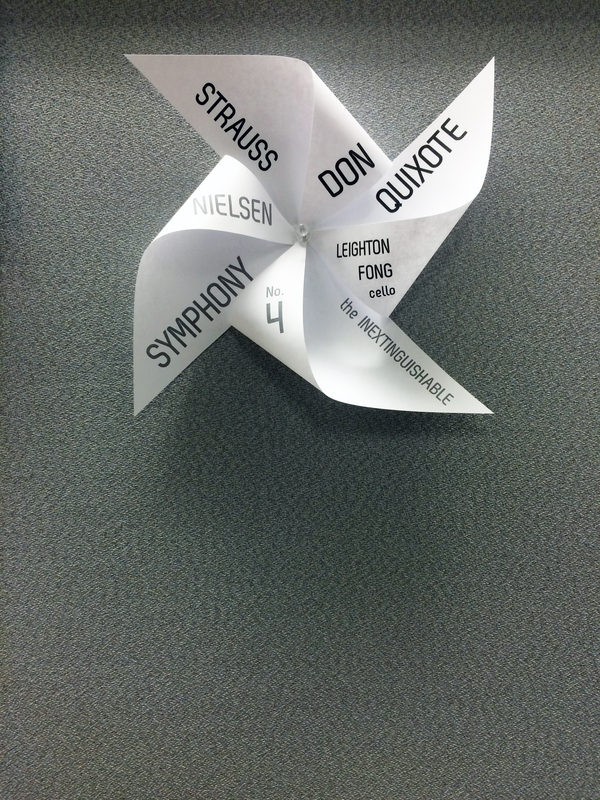 In a nod to Don Quixote‘s whimsical absurdity, our poster features the concert program printed and folded onto a paper pinwheel. 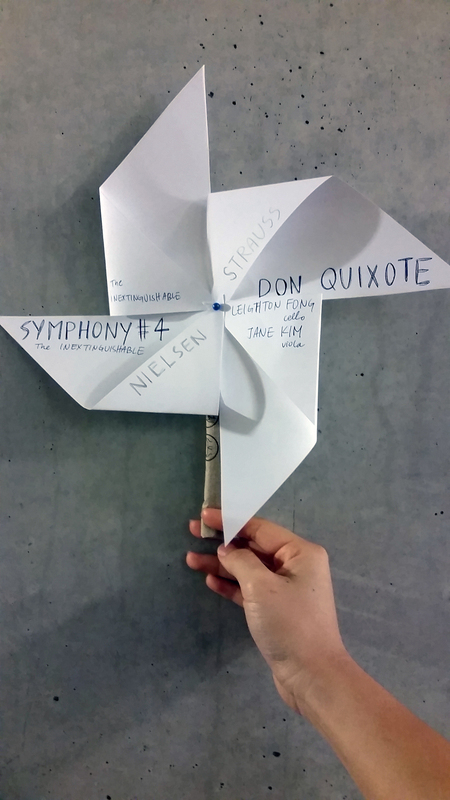 The pinwheel was mounted on a cello bow, since Strauss’ rendition of the story portrays Don Quixote with a solo cello. Our original idea involved photographing a cellist battling an oversized pinwheel, but that seemed a little too complicated. 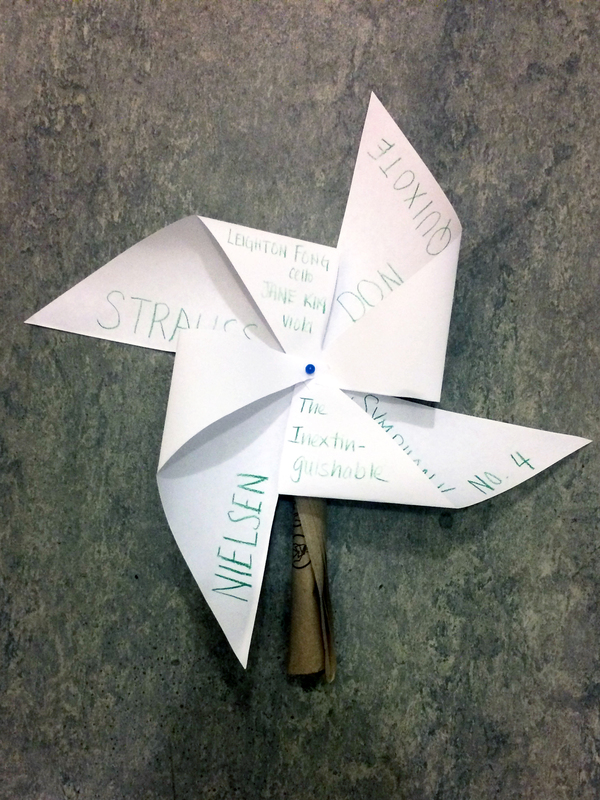 Instead, we put on our best crafting faces and spent an afternoon in Irene’s common room cutting, drawing, folding, pinning, and mounting our pinwheels onto rolled-up Chipotle napkins (a handy last-minute improvisation, if you couldn’t tell), and photographed them against her hipster concrete wall. 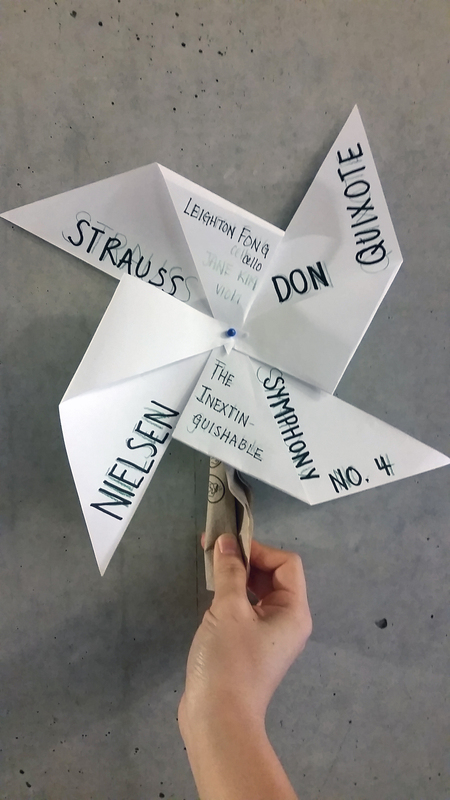 When we finally figured out how we wanted the text on the pinwheel itself to look, I printed the final version and pinned/taped it to a cello bow – a crappy plastic bow that we borrowed from Jeremy (who got it from one of his labmates who found it on the side of the road). 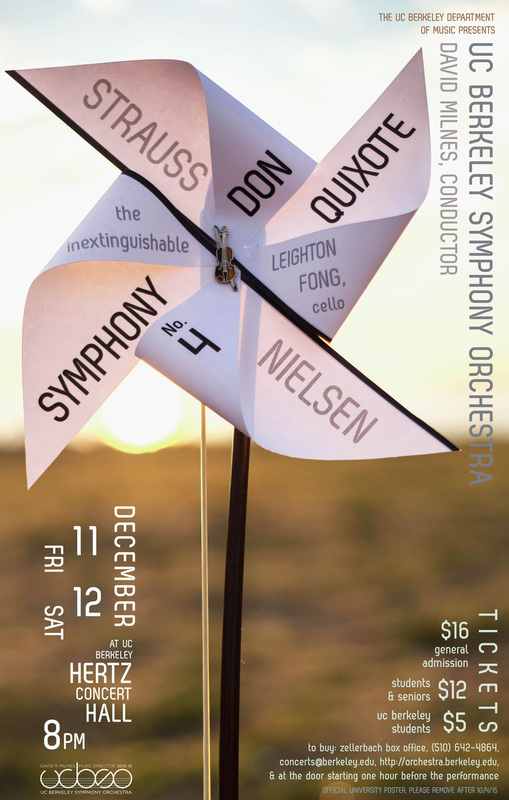 To hold the bow upright, I used a trick from my incense-burning grandparents and stuck it in a glass filled with rice. 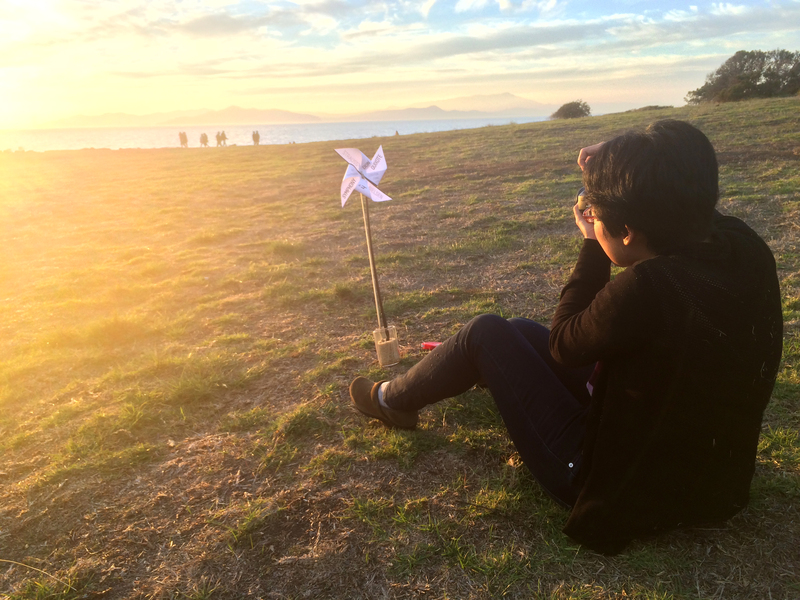 Sam and I then took it over to the Berkeley Marina – the closest thing we have to the Spanish countryside – and took photographed the pinwheel during golden hour. 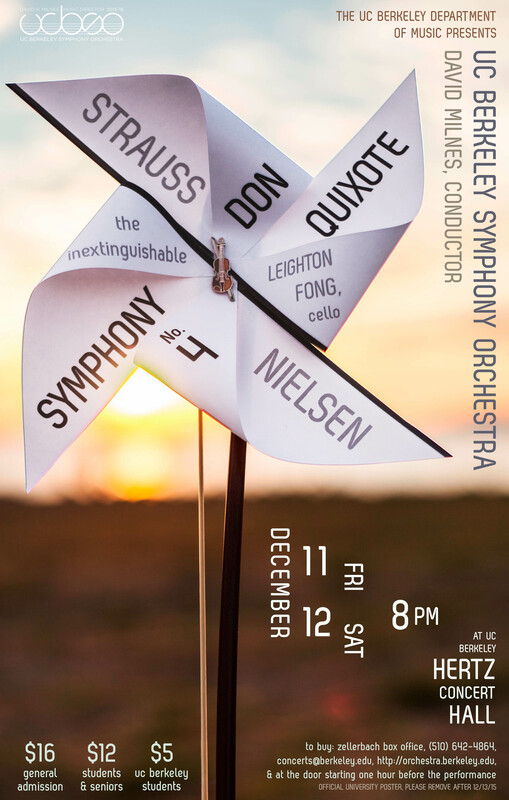 We originally wanted to keep the same text placement that we used in the two other posters we made this season, but the balance seemed a little off, and after some strong urging from Alia, I played around with it until I found something cleaner.